The statue, which stands on the balcony where Mandela gave his first speech after his release from prison, was removed on Monday to accommodate a film shoot. But members of the public did not seem to like the idea because the day coincidentally marked the 29th anniversary of Mandela's release from prison. Vos said the City learnt its lesson. "We realise the significance of yesterday (11 February) and greater care should have been taken. It's a lesson learned," Vos told News24 on Tuesday. "It has now been returned," Vos said. "I have spoken to the film company and I am in possession of a photograph proving it has been returned." Many people reacted with outrage at the removal of the statue and the significance of the day. Producer of Mandela: Long Walk To Freedom, Anant Singh, took to Facebook to condemn the act, saying that while he acknowledged the contribution the film industry brought to the economy of Cape Town, "we should never compromise our liberation history and heritage under any circumstances". "I am sensitive to the needs of a film production, but it is common to digitally remove objects in camera shot in post-production," Singh wrote. 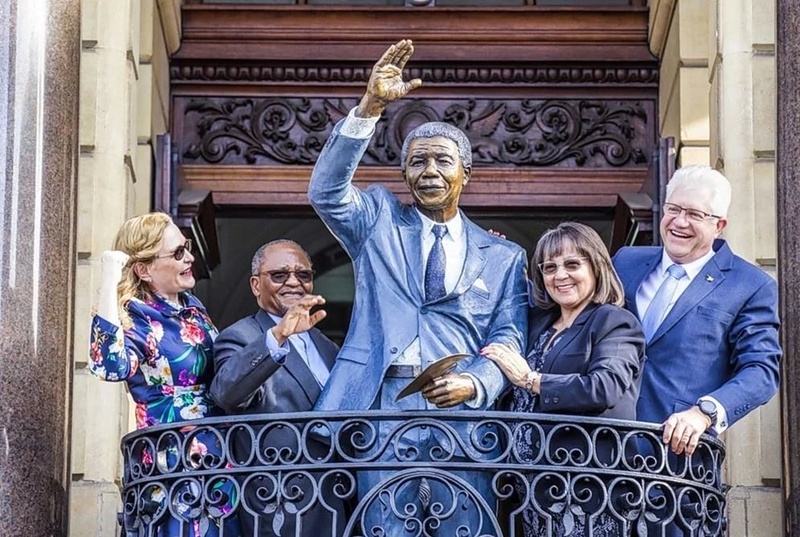 iOL reported on Monday that Good leader and former City of Cape Town Mayor Patricia de Lille said whoever removed the statue simply did not care because on the day, "we made history". Vos said there would be instances when the statue had to be moved, which included maintenance purposes. He would not divulge the name of the film company and would only say that it was an "international, reputable company that is shooting a series, now in its second season".